Google Tag Manager offers simple, yet powerful tag management solutions to help small businesses and large enterprises launch programs faster. Add and update your own tags for conversion tracking, site analytics, remarketing, and more. 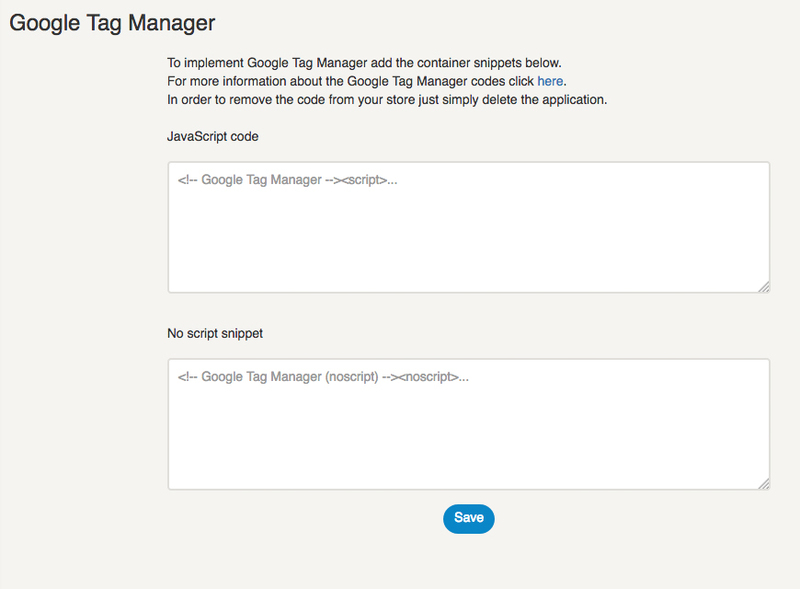 To implement Google Tag Manager add the container snippets below. For more information about the Google Tag Manager codes click here. In order to remove the code from your store just simply delete the application.